Crayons Team (L to R): Mami Emery, Rene Gibb, Jono Ladmore and Sheyne Ladmore. 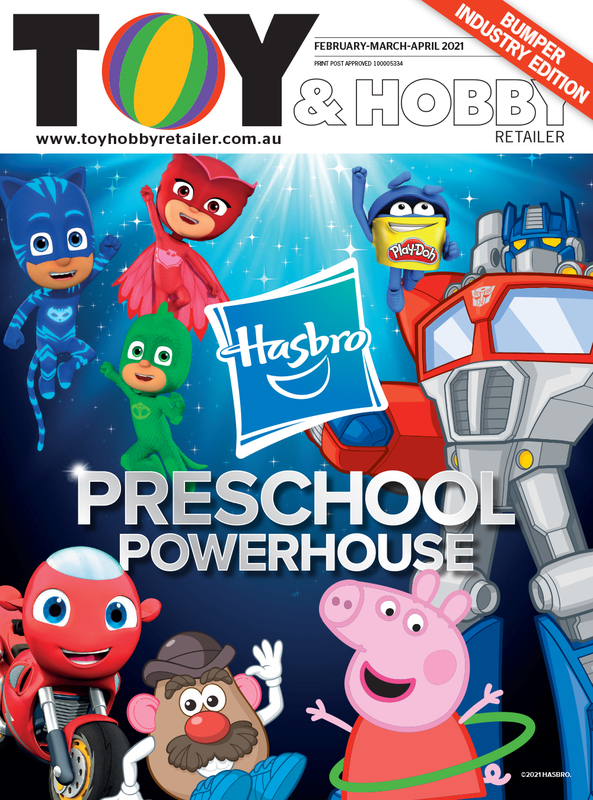 Online toy retailer, Crayons, has snagged the gong for Online Retailer of the Year in the Toy & Hobby Retailer Business Excellence Awards. Explaining the history of the business founder and owner, Jonathon Ladmore, says that the business' name came from an inside-joke. “The history is quite interesting, we (Jonathon and Sheyne Ladmore) have an IT background [and] we decided we needed to do something different and through a bit of an in-house joke, I had the domain name of Crayons and had had it for a long time, it was an old domain name. “We also had young kids at the time too, who were just going through the phase of getting into technology. And what we were finding was the kids were playing a lot of games, but weren't really learning [despite] their use of technology. “So what we did was create a little netbook computer, that we thought would be good for kids to use at school. We thought the bring-your-own-device (BYOD) thing at school was going to be 'it' and that the kids were going to have to have a device at school. “We thought if we could get a cheap netbook that was designed for kids and was really cool [off the ground, we'd be in business]. Around the same time, the iPad got released. So we got sick and tired of trying to convince parents that the iPad wasn't good for kids because they weren't typing and stuff. “[So we] switched the business over to toys over the period of a year, keeping the focus on education, learning and creativity. We went from having [a] technology [business] to a toy based [business]. Jonathon's nomination of Crayons in the Business Excellence Awards stood out because he mentioned that the business was growing 40 per cent year over year. Jonathon attributes this growth to three factors. “I think, personally, that we've been assisted by the growth of just online businesses in general, so I'd say that's the first factor straight away. The fact that, in general, more people are going online [to shop]. What we're finding is a lot of people who traditionally haven't – like grandmothers and older people in the community who wouldn't go online – are ringing us looking for cool products for their kids, so I think that is a sign that they're more confident in doing it and that's increasing, so that's the first factor. “The second factor is, I think, as a business, we're just growing in the number of products that we offer, so that certainly helps as well. Jonathon says that the biggest challenge for the business as an online retailer is that customers can't physically interact with the products, which makes it difficult for them to make a purchasing decision. “The biggest challenge that any online retailer has is the customer that comes along and says, 'I've got a three-year-old nephew who likes trees, what's an idea for a present?' So the challenge is solving that problem technically. “Whether [we solve that] through some sort of augmented reality or having products that are 3D viewable so people can get a really good view of something or more video-based content of kids using it so the customers can see the engagement that's there. 2019 looks to be a year of experimentation and expansion at the Crayons business, with Jonathon saying that the first cab off the rank is moving warehouses. “We're having to move [this] year. We've outgrown where we are and we've got another warehouse across the street which we've kind of exploded into, so we need to move. 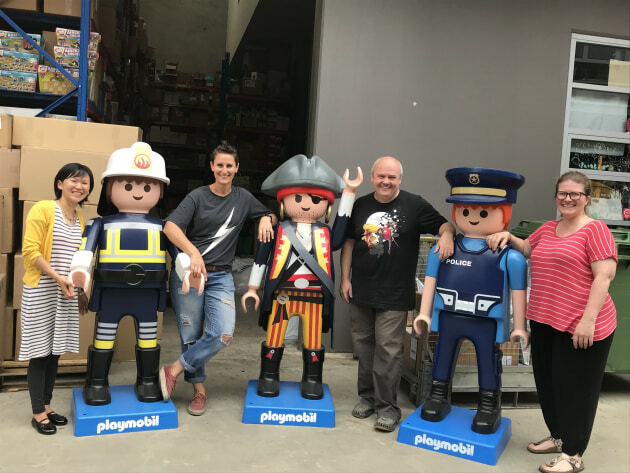 Unpacking our extra large Playmobil Pirate. I can distinctly remember this and although it sounds trivial it certainly tapped an inner (probably hidden) sense of play!